Click here to access My School Bucks online payment center! 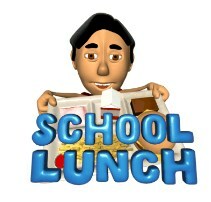 Click HERE to view breakfast and lunch menus for all campuses! If you have any questions please call Danta Harbour, Roosevelt Child Nutrition Program Clerk at (806) 842-3282, ext. 750.